I must say that the first time I tried FreeJump stirrups was only a few weeks ago when a friend of mine asked me to ride a horse and she had a pair of FreeJumps on the saddle. I don't know how this is even possible but yes, they have been around for ten years and I only tried them now. Although I always thought they were really nice looking, I never thought that I needed them, specially after that polemic video of Henrik Von Eckermann that gave me some mixed feelings. I always felt comfortable in my Sprenger stirrups but it all changed as soon as I put my feet on the FreeJump for the first time. I immediately told my friend that I wanted them because it feels like they help you keeping your leg and ankle in the most correct and perfect position - weird, ha?! As much as I read about all the science behind them I can't understand how they can help me feeling so much more stable. 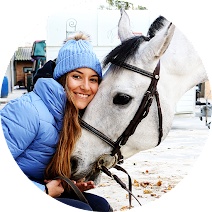 There's also something that concerns me a lot and I already talked about it with you, I'm super afraid of falling and getting my foot stuck on the stirrup, it already happened to me once and, omg, it is NOT cool guys... so that's why I would prefer having an open stirrup. 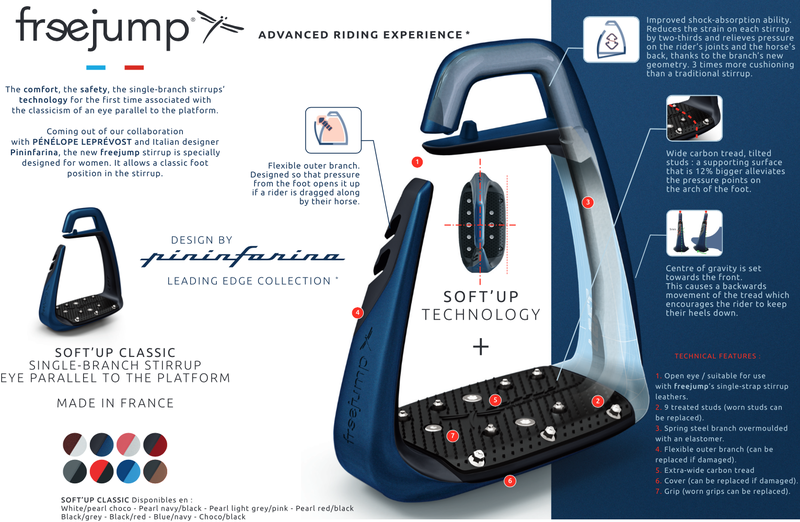 Anyway, now that I've told you that FreeJump is my most recent love concerning stirrups, it is time to introduce their new product: the Soft'Up Classic stirrups that were created by Pénélope Leprevost, designed by Pininfarina which is an Italian design studio and produced in by FreeJump in France. 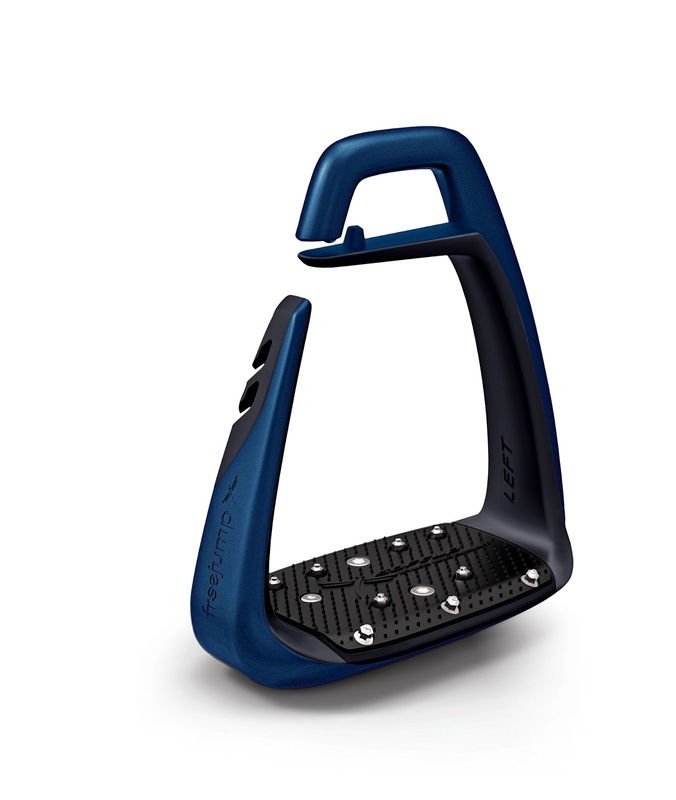 These new stirrups were designed for women as they have a smaller size that would fit us better - I find it so interesting that now so many brands make products specially for us! Another thing that is different in this new stirrup is the straight eye, if you recall the previous Soft'Up Pro had a different shape on the place where we put the stirrup leathers, now they have brought it back to the classic style which is a great thing as I have heard some people saying that it wasn't that comfortable! FreeJump also added some new colors to this new collection - although the brown ones have always been my favorite, I am sure that me and the pearl navy/black would be best friends!!! 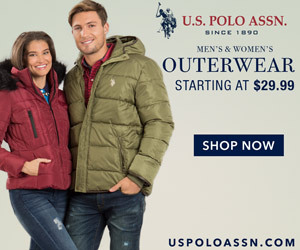 Are you a fan of the new collection?